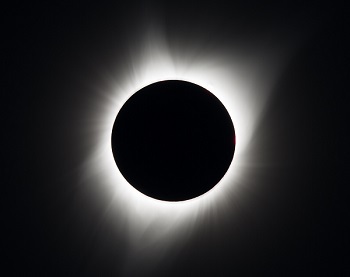 As well as Eclipse Glasses, you may need solar filters to safely observe the eclipse on 21 August, 2017. Especially if intending on using a telescope to observe the eclipse. 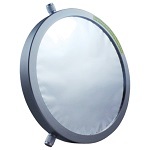 Below are a number of varying solar filter products available for different applications. 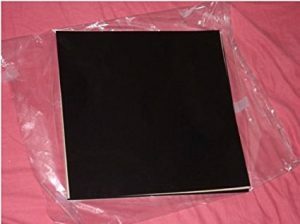 If you want to make your own filter, these black polymer sheets are the most common for eclipse and sunspot observing. These sheets are a quality product of Thousand Oaks Optical, Arizona, a manufacturer of safe solar filters for over 30 years. “Stronger than Mylar with the filtering properties protected within the substrate. Guaranteed five years.” All available from Amazon.com via the links below. 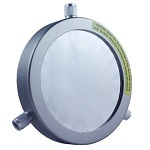 A must-have to safely observe the sun through your telescope without damaging your eyes – optical glass filter fits snugly over your telescope’s aperture to block 99.9% of incoming sunlight. Explore the Sun safely through a telescope with these high-quality solar filters featuring Baader AstroSolar film in a sturdy aluminum cell. 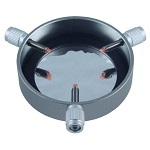 Three clamping screws with protective plastic caps – ensure a perfect fit and are also gentle on your telescope,attaches directly – filter in anodized aluminium mounting. 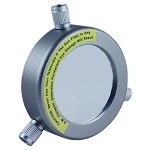 These non-adjustable filters use an adhesive foam ring to attach to a telescope of matching diameter.